This is how I build a side table. This is a great DIY small side table idea. It's easy to build and doesn't take a lot of time. This type of table goes great in a living room as an end table, a bed room as a night stand, or many other places. They are great for adding farmhouse decor to your home. Great for adding an extra decor touch to any room with this side table. This can be a great diy night stand. A side table like this makes an excellent farmhouse night stand. This table can be used in a variety of ways. Check out the video, comment below and let me know what you think about the build and the design. Thanks for watching! In this video I show you how to build a small side table. 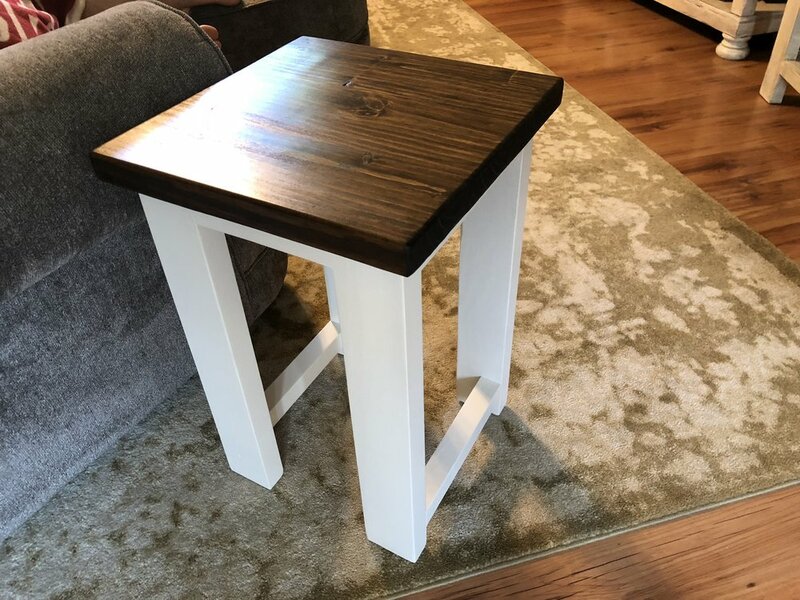 Side table with ebony stained top.